Solid hardwood flooring looks amazing in any house. You can pair it with pretty much any style you’re trying to achieve in your home. However, hardwood flooring does require a lot of maintenance. This type of flooring scratches easily, so when you are trying to add resale value to your home it’s best to refinish your old hardwood floors. This will help your flooring look brand new for the potential homebuyers that come to look at your house. We’ve created a handy guide for what you should know before you set out to refinish your old hardwood floors. This will help you determine how much work you need to put into the process. 1. Is it Dirt or Damage? Before you decide if you need to refinish your floors, the best thing to do is thoroughly inspect them. You can rub the surface of your floor to see if there are any deep scratches. 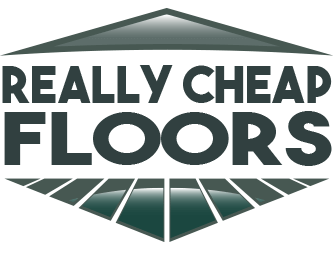 If there are no deep scratches and your floor is just dull, then you can proceed to deep cleaning your floor. Sometimes dirt on the surface of your floor makes it look like you need to refinish when all you really need to do is give it a good cleaning. 2. Did You Deep Clean Your Floor? One of the best ways to add some new life to your hardwood flooring is by giving it a deep clean. You can use a vacuum to get up all the loose particles. 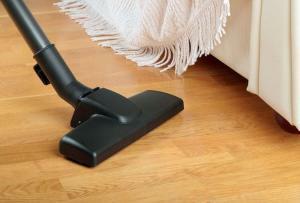 Then, you’ll want to use a dust mop to get any excess dust that has been left behind. It’s important that you only dry or damp mop your floor because hardwood flooring is extremely sensitive to moisture. 3. Where is the Shine? If your hardwood flooring is looking really dull, then you’re probably asking yourself where is the shine? One of the reasons hardwood flooring is so popular is because it puts off this shine that homeowners love. If your floor has lost its shine, it is still possible you won’t have to refinish it. Try using a renewal kit provided by your floor’s manufacturer. It might just be the thing you need to bring some new life to your floor. 4. Should I Use a Satin or Glossy Finish? When you decide to refinish your floor, you’re probably going to have to choose between a satin or glossy finish. Glossy finishes are more stylish these days, but satin finishes are known for being better for small children because it is more slip resistant. The choice is really up to you and what fits your needs the best. 5. Do I Refinish my Floors or Hire a Contractor? This question really depends on your time and budget for refinishing old hardwood floors in your home. Of course, when you go the DIY route you’re going to have to put in a lot of your own time and it might not turn out the way you want it to. There are pros and cons to hiring a contractor over doing it yourself, so you can weigh your options and decide what’s best for you. You can use these tips to decide if you need to refinish old hardwood floors in your home. Browse our prefinished hardwood flooring options to find the best fit for your next home improvement project.